Don't sweat the small stuff! It gets hot on the half-court. Keep the fans cool when you sell Drink Tickets before the game or at the door. 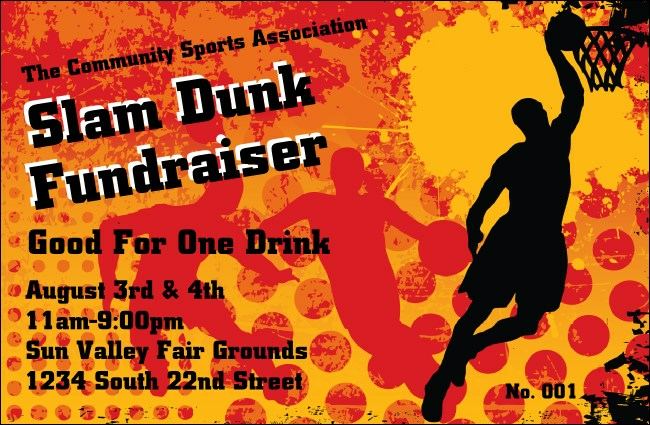 The Basketball Drink Ticket features a sizzling design with a hoopster just about to slam dunk. Complete the easy template below and we'll send it your way! Break away from the pack with unique sports-themed Event Kits from TicketPrinting.com.